Mac Blu-ray Player is the first and best Blu-ray player for Mac Pro. It can play Blu-ray movies full well and with high definition on Mac Pro, which makes it prominent in this field. 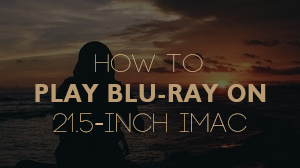 It is well-known that Blu-ray movies playback on Mac has been a "bag of hurt" for a long time. Former Apple CEO Steve Jobs famously complained that the licensing involved in including Blu-ray movie support in Mac OS X was too expensive and complicated to be worth pursuing. Another perspective is that, in favor of iTunes Store movie downloads, Apple just evaded to integrate Blu-ray into its Macs. By and large, it is the fact that Blu-ray movies are unable to access to all Mac models, no matter MacBook or Mac Pro. Yet all Mac lovers are too disappointed about it. However, it is exciting news that, from Mac OS X system, Macs are capable of reading and writing Blu-ray Discs as well as Blu-ray burning. Therefore, some peripheral makers have begun selling limited external and internal Blu-ray drives to Mac users. Up until now, Apple has released five models of Mac: MacBook Air, MacBook Pro, Mac mini, iMac, Mac Pro, all of which need an external Blu-ray drive to play Blu-ray Disc, while only Mac Pro can alternatively insert an internal Blu-ray drive for Blu-ray playback. No matter along with internal or external Blu-ray drive, Mac Blu-ray Player definitely supports Mac Pro in a perfect way. Since it was published, Mac Blu-ray player plays an essential role in the field of Blu-ray Player for Mac, especially for Mac Pro. 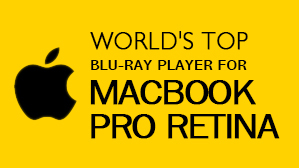 It can play all Blu-ray movies well on Mac Pro, no matter Blu-ray Disc or Blu-ray ISO. After DTS5.1 supported, Mac Blu-ray Player can bring an even higher audio quality for you. As the best Blu-ray player for Mac Pro, it is capable of advanced Blu-ray decryption and can remove BD+ and AACS encryptions from latest Blu-ray movies. Furthermore it is full-featured universal media player that can support all media formats existing today. All in all, Mac Blu-ray Player can match with Mac Pro very well. With convenient navigation planet and beautiful interface and layout, it is easy to perform. In a word, Mac Blu-ray Player can play Blu-ray movies on Mac Pro in an unimaginable way.